"Korriban shall be as it always was. A graveyard for the darkest of the Sith Lords, still whispering within their tombs. It shall always be a source of evil, spawning threats throughout the millennia. It, like Malachor, brushes the edges of the empire that waits in the dark. And like Malachor, the Sith have forgotten it … for a time. They will remember." 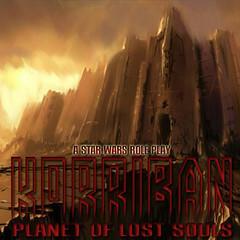 The planet of Korriban is the sole planet in the Horuset system, located across the galaxy from Koros Major. It was the original homeworld of the Sith species and a sacred planet for the Sith Order, housing the tombs for many ancient and powerful Dark Lords of the Sith, and containing tremendous dark side power.